A Certified Wedding Planning Professional (CWPP) needs to have superior organizational skills, excellent attention to detail, the ability to work through very stressful situations and have many ideas that will appeal to a large scale of clients and employers. Many brides, family members and friends are too busy to devote months of time to planning a wedding. For these reasons, a growing number of couples now seek the outside assistance of a professional wedding and event planners. Overall, employment in event planning and similar occupations is expected to grow 44 percent by 2020, according to the Bureau of Labor Statistics. 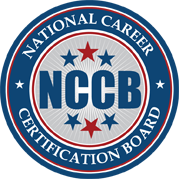 Attaining the National Career Certification Board’s (NCCB) Certified Wedding Planning Professional (CWPP) credentials will show perspective employers and clients you have the qualifications necessary to tap into your creative side in the industry and plan their wedding with professionalism and unique style. The benefits to becoming a Certified Wedding Planning Professionals (CWPP) may include more job opportunities, higher wages, and increased job security.